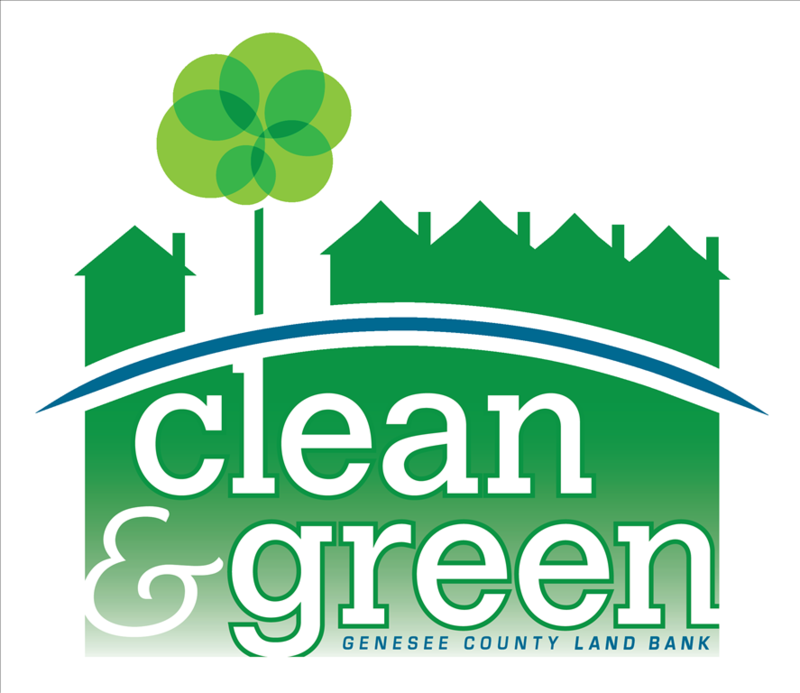 The Genesee County Land Bank recognized and honored Clean & Green volunteers for their vacant property maintenance work at the end of season celebration on October 30th at the Event Center at Mott Community College. More than 130 people attended the celebration and award ceremony. From May to September, volunteers cleaned and maintained vacant properties every 3 weeks. Click here to see our 2018 program results. Groups that went above and beyond the call of duty received awards to acknowledge their efforts. The Clean & Green Thumb award went Higher Quality of Life and The Hispanic Technology Community Center for the best greening site. The Flint Property Portal Pro award went to Ballenger Square Neighborhood Association for making best use of the Flint Property Portal to report maintenance. The Flint Property Portal officially launched in 2017 including both a website and mobile app. The final and top award The Barbara Griffith Wilson Award – The Overachiever went to WC’s Beautification Project for going far above and beyond the expectations of the program. The Land Bank is grateful to all of the program volunteers. Their work helps to beautify and stabilize neighborhoods in and around Flint.